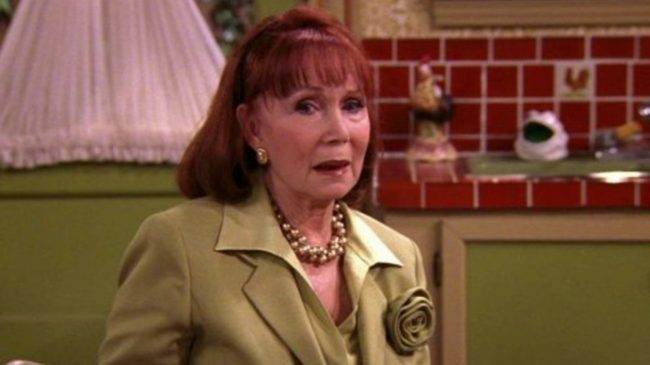 Katherine Helmond’s talent agency APA informed CNN on Mar. 1, 2019 that the actress who was best known for her roles on “Who’s the Boss” and “Soap” died on Feb. 23 at her home in Los Angeles from Alzheimer’s disease. She was 89 years old. Helmond’s husband David Christian released a statement saying that the actress was the love of his life. They spent 57 beautiful years together which will be forever treasured. He said that he had been with Helmond since he was 19 years old. Helmond had a five-decade career and was nominated for several Emmy Awards. She also won two Golden Globe awards. The actress won a Golden Globe in 1981 for her role of Jessica Tate on the comedy “Soap.” The show was on the air from 1977-1981. Following the news of her death, Alyssa Milano tweeted Helmond was beautiful, funny, kind, gracious and compassionate. She was an essential part of her life. Tony Danza her co-star on “Who’s the Boss” on Twitter described Helmond as a national treasure, and no words can describe how much he loved her. Danny Pintauro who played the son of Light on “Who’s the Boss?” tweeted that he could not have asked for a better grandmother on the show. Her talent agency said a memorial service is being planned for her friends and family. A date has not been released.